With government spending and the Congressional debate on raising the debt ceiling dominating headlines, a collection of New Mexico groups gathered outside an Internal Revenue Service building in Albuquerque to protest subsidies given to the oil industry. The groups were aided by a report by Taxpayers for Common Sense called “Subsidy Gusher” which “outlined $78.1 billion in subsidies and specialized tax breaks to the oil and gas industry over the next five years.” The study also found that New Mexico taxpayers contribute $104 million per year in subsidies to the oil and gas industry — or $285,000 per day. “Oil and gas companies are hauling in enormous profits,” Jill Lancelot of Taxpayers for Common Sense said at the rally. Not surprisingly, oil and gas companies have spent hundreds of millions of dollars over the past decade in an effort to lock in the preferential treatment they receive from Washington. Since the start o the 2002 election cycle, the oil and gas industry has donated $138.7 million to the campaigns of elected officials in Washington, according to the Center for Responsive Politics. The coalition of groups, which also included Republicans for Environmental Protection, OLÉ, New Mexico Wildlife Federation, Backcountry Hunters and Anglers and the Alliance for Retired Americans, held a sign near the IRS pointing out the subsidies that New Mexicans paid for the oil industry. Some supporters of the oil and gas industry have argued that if the industry is not given tax breaks the companies would move out of the state to other states that provide better tax incentives. “The simple fact of the matter is that they will drill as long as prices are high and they’ve got the technology to get at the resources,” Garrington said. According to the New Mexico Oil and Gas Association, the industry paid more than $1.5 billion in taxes, fees and royalties to the state during the 2010 fiscal year. It also paid an additional $141 million in local taxes. ~ Sen. David Ulibarri (D – Grants) commenting on (while simultaneously commending) presentations from representatives from the mining, oil and gas industries in NM. During the committee hearing, industry panelists took a moment to mention what their companies have done and/or will do for New Mexico – with regards to the number of jobs created and payments made to the state (by way of taxes, fees and royalties); they also spent the bulk of their presentations outlining what the state can (additionally) do for industry – specifically related to relaxing (if not entirely eliminating) regulations, while providing more incentives to do business in the state. Representatives from two of the state’s utility providers, Xcel Energy (an electric and natural gas company that operates in eight states – including NM), and Tri-State Generation and Transmission Association (a wholesale electric power producer/supplier that serves 44 rural electric cooperatives and public power districts in four states – with 12 in NM), spoke extensively about the reliability of service provided by their companies, as well as the importance of cost containment measures. While each highlighted the need to keep and utilize a diverse energy portfolio, it was stressed that the companies pretty much only added solar and wind, because they were mandated to do it. Phillips then when on to mention that her company has “customers who want power when they want it” – as part of a pitch for an investment in infrastructure modifications to the power grid/s that the state uses (which were built in the 70s), and that “customers have been able to enjoy low rates for over 35 years” – related to possible, future rate increases. Rhonda Mitchell, from Tri-State Generation and Transmission Association, added that her company was doing what it can to educate their co-op members about the rising cost of energy production and transmission (i.e. why customers can expect to pay more), though it was unclear as to whether or not said education equally emphasizes energy conservation. This is a great chart. Important too. Why? There’s an increasingly persistent meme being used to justify another round of massive tax cuts for the super-rich — like those contained in the Ryan Budget plan recently passed by the House. The meme is this: The wealthy are the true “producers.” They’re “job creators” who will take any additional tax windfall and, presto… new manufacturing plants will spring up over night. There’s also a “moral” component embedded in this meme. The reframe goes like this. For us to expect billionaires and large corporations to pay their fair share of taxes is really about “unjustly punishing” them for their “success.” It’s tantamount to theft. What we have here is a perfect reflection of the moral universe conceived by Ayn Rand. And now an attempt is being made to enshrine her philosophy of radical individualism as official policy via the plan of Congressman Paul Ryan — a committed Randian. This is Calvinism on steroids — but absent God (Rand was a militant atheist). Material success and wealth is a sign that you are one of the Elect, and thus favored by God Ayn. The poor, the weak, the sick? God Life is punishing them for their moral defects. Is your head ready to explode yet, Susana? Five Reasons Why States Can’t Create Jobs by Cutting Business Taxes from the Center for Budget and Policy Priorities. In the “Baby, It Hurts So Good Department”, tough economic times couldn’t be working out better for Big Oil. Despite all those regulatory fetters, today Exxon Mobil reported a first quarter profit jump of 69%. And what about “Drill Baby Drill” as a way out of the crisis? Former Bush-McCain economic advisor admitted it wouldn’t make a dime’s worth of difference. Meanwhile, don’t cry for Massachusetts! Despite being burdened with a state-imposed universal health insurance mandate (RomneyCare), the Bay State experienced an economic growth surge ahead of the overall United States in the first quarter of 2011. Oh, and as an added bonus (or rather “fetter”), the state’s uninsured rate is below 5%. Back here in New Mexico, we’re bracing for the cut-off of federal stimulus funds that, according to UNM economists, paid for as many as 23,000 jobs through June of last year. Error-ridden language from a bill crafted by the billionaire Koch Brothers and served up as a template for a number of states has surfaced in the New Mexico Legislature. Language for the legislation, which would have states pull out of regional climate accords they’ve formed to reduce the effects of climate change, was created by the Koch-funded American Legislative Exchange Council (ALEC) and circulated to conservative lawmakers in a number of states. ALEC is a powerful lobbying group that is financed by large corporations, including ExxonMobil and a number of oil and gas companies who strenuously oppose taking any action against climate change. In New Mexico, the ALEC measure is House Joint Memorial 24 and is being carried by freshman Representative Tim Lewis (R- Rio Rancho). Another One Of Those Small Business-Friendly Tactics? A bill that would bar the New Mexico Environmental Improvement Board from making any greenhouse gas rules that are more stringent than federal law is making its way through Senate committees. The bill, SB 489, sponsored by Clinton Harden, (R-Clovis), would not reverse the two carbon cap proposals that were approved in the waning days of the Richardson Administration. Those proposals drew strong opposition from the oil and gas industry and from Gov. 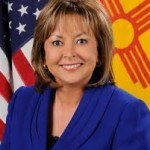 Susana Martinez, who vowed during her campaign to reverse them if elected governor. Though SB 489 wouldn’t reverse the current caps, it would severely hamper New Mexico’s ability to protect its environment in the future, opponents say. When Susana Martinez assumed the office of Governor on Jan. 1, she faced a clear choice. Would she protect New Mexico’s clean land, water and air by fighting to keep environmental regulations strong – or would she instead focus her energies on stalling, relaxing and eliminating regulations for certain wealthy, mostly out-of-state industries who contributed generously to her campaign? New Mexico’s new Governor chose the latter course. Minutes after she took office, Gov. Martinez issued an executive order that halted all pending or proposed rules and regulations for 90 days and created a “Small Business-Friendly Task Force” to evaluate the rules for their “workability and reasonableness and (to) determine whether they are proper and necessary.” During the next 90 days, she said, the task force would decide which rules hampered small businesses in New Mexico. At the 45-day mark with no word from the Governor, we started to wonder – How was that “Small Business-Friendly Task Force” coming along? Who’s on it, and when has it met? What has it discussed and what kind of changes is it looking to recommend? We asked the Governor’s office nicely, but got nowhere, so we were forced to file an Inspection of Public Records request to get the answers. (More about that later). The list of members provided by the Department of Economic Development shows that the Governor’s “Small Business-Friendly Task Force” is dominated by long-time lobbyists for large corporations, including big dairy, which contributed thousands of dollars to Martinez’s campaign; and the oil, gas and natural gas industry from in and outside the state, which gave her hundreds of thousands. Both industries have huge economic stakes in keeping New Mexico regulations at bay. The companies represented by lobbyists on the “small business” task force include oil and gas producers and distributors from Oklahoma, Texas, Arizona and Colorado; copper, gold and uranium mining companies from Arizona; a payday loan company based in Georgia and a giant tobacco company from North Carolina. At the Roundhouse, Trujillo represents Biotechnology Industry Organization, BP America, Inc., Community Loans of America, Inc., County of Grant, Dairy Producers of New Mexico, Dell, Inc., El Paso Corporation, Freeport-McMoran Copper and Gold, Gallagher and Kennedy, PA, Hewlett-Packard Company, Hunt Transmission Services, New Mexico Off Highway Vehicle Alliance, Occidental Petroleum Corp., DBA Occidental Permian LTD, OXY USA Inc., RAI Services Company (Formerly Reynolds American Inc.), Ruidoso Downs Racing, Inc., Ruidoso Jockey Club and State Farm Insurance Companies. Biotechnology Industry Organization is a Washington, D.C – based company that refers to itself as the world’s largest biotechnology organization. BP America is a Houston-based oil and gas company (yes, that BP). Community Loans of America is an Atlanta-based payday loan company. Dairy Producers of New Mexico represents farms in New Mexico – a state which has some of the largest and most dense factory farms in the nation. Trujillo and the dairy group came under fire earlier this year when emails showed Trujillo, an attorney, and Walter Bradley, a former Lt. Gov and fellow lobbyist for the dairy association, were involved in helping write the executive order halting the regulations and creating the task force to review them. The El Paso Corporation owns North America’s largest natural gas pipeline system and is one of North America’s largest independent natural gas producers. It is based in Colorado. Freeport McMoran is an Arizona-based mining company that is the world’s largest producer of copper, gold and molybdenum and the leading manufacturer of copper strip, cadmium copper, copper wire and bars. Hunt Transmission Services is a Dallas-based company that develops and acquires electric and pipeline transmission and distribution assets. Occidental Petroleum is a Houston-based oil and gas company. RAI Services Company (formerly Reynolds American) is a North Carolina-based tobacco company. At the Roundhouse, Foster represents Chesapeake Energy Corporation, Energen, Independent Petroleum Association of New Mexico, KFoster Associates, Shell Oil Company and Shell Wind Energy. Chesapeake Energy is an Oklahoma-based producer of oil and natural gas – the country’s second largest. Energen is a Farmington-based oil and gas company. Shell Oil Company is a Houston-based oil company. At the Roundhouse, McGonagle represents: Ajinomoto Food Ingredients, American Council of Life Insurers, National Federation of Independent Business, Neutron Energy, Inc., New Mexico Chapter/American Subcontractors Association, Veterans and Fraternal Non-Profit Clubs of New Mexico, Inc.
Ajinomoto Food Ingredients is a company based in Chicago. The American Council of Life Insurers is a lobbying group based in Washington D.C. The National Federation of Independent Businesses is based in Nashville. Neutron Energy is a privately held uranium exploration and development company based in Arizona. Sonntag represents the National Utility Contractors Association of New Mexico, New Mexico Business Coalition and the New Mexico Utility Shareholders Alliance. Cowen represents the New Mexico Cattle Growers Association and the New Mexico Wool Growers. Tonjes represents Albuquerque Economic Development. Rivera-Wiest represents Associated Builders and Contractors, Inc., New Mexico Chapter. So Who’s At the Table? The list of names makes a clear statement about who Gov. Martinez believes should be given a seat at the table of power and influence. But do these selections match up with her rhetoric? But apparently not task forces – looks like “the people” were left out of finding what happened in those – unless they filed an IPRA request. Thanks to our open records request, we learned that the task force was named and began meeting secretly in February. Notes taken by an Economic Development Department staffer show the group made no consideration of keeping any of the pending rules or regulations. The notes show that agenda items revolved around which industry wanted what rules rolled back – and how the Martinez administration could accomplish it. Task force members weighed and discussed all possible tactics the Governor could use to block incoming regulations – repealing a rule, making an executive order, attempting to pass legislation. Among the documents we received in our public information request was a mid-point report from Feb. 17 that is full of recommendations the task force apparently didn’t want to share with anyone. (We’ll post that entire report later today.) And we still have a request pending for more documents to come from the Economic Development Department, which facilitated the meetings. But why were these meetings closed? Similar task forces in the past created by the Governor and chaired by the Economic Development Secretary were held in the open, with meetings announced in advance and conducted around the state in public places with plenty of input from regular New Mexicans. Sarah Welsh, executive director of the New Mexico Foundation for Open Government, says the the state Open Meetings Act probably does not apply to task forces created by the Governor. But as one of the state’s leading advocate for transparency in government, Welsh noted that the Open Meetings Act sets a minimum standard for which meetings must be noticed and open to the public. Makes you wonder what this task force is trying to hide. You’ll find out exactly what in our next post, when we share the recommendations from the task force’s midpoint report. The first order of business last Thursday afternoon in the Senate Finance Committee was discussion of the proposed budget for the state Department of Energy, Minerals and Natural Resources. 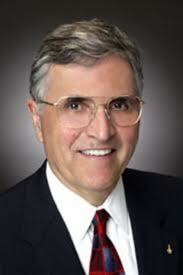 Analysts did the basic presentation, but at the end, secretary-designate Harrison Schmitt got to chime in. Given the fawning welcoming of Schmitt by Senate Finance Chairman John Arthur Smith (D-Deming), it appeared that Schmitt would have an easy go of it before the influential Senate committee. 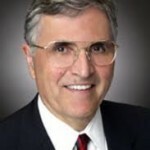 Schmitt, 75, started off with a walk down memory lane, starting from when he was a child growing up in Silver City and ranging on to his scholastic adventures, his advances at NASA as an astronaut and finally, to his single term as U.S. Senator. For a while there, I thought I had walked into a book promotion tour, but Schmitt concluded by saying his recap was merely to present his qualifications to the committee. Rep. Don Bratton (R-Hobbs) led an exodus of Republicans from the House Energy and Natural Resources Committee on Monday after two experts invited by new committee chair Rep. Brian Egolf (D-Santa Fe) gave a presentation on the impact of rules and incentives on New Mexico’s oil and gas industries. Kim Sovig, a Research Associate Professor at the UNM School of Architecture and Planning. He is widely published on sustainable development and construction techniques, focusing on clean energy and water resources as they relate to land use. Betsy Siwula Brandt, who has a 20 year career in the oil & gas industry ranging from exploration geophysicist to exploration and production manager for Exxon, both domestically and internationally. Her primary emphasis is on how best management practices and technological advances drive industry. The drama started during a question and answer period after the presentation, as presenter Kim Sorvig started to answer a question from committee member Rep. Al Park (D-Albuquerque). I sat in the Roundhouse and listened to Gov. 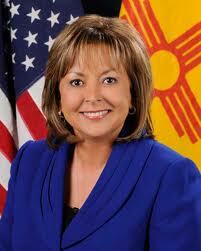 Susana Martinez’s State of the State speech yesterday. Our new Governor spoke very clearly and enunciated quite carefully, but I still came away confused. I heard her speak about how excessive and reckless spending by our previous Governor got New Mexico into the financial conundrum that it is in today. But I didn’t hear her say anything about the collapse of the global economy that’s put virtually every other state there, too. I heard Gov. Martinez talk about plans to fix New Mexico’s dire budget situation by eliminating “irrational red tape ” and declaring the state “open for business.” But open to what kind of businesses? Not to film companies – in her speech, Gov. Martinez all but called them a bunch of grifters. “Irrational red tape” apparently, refers to the environmental regulations aimed at protecting our state’s air, water and land from pollution by oil and gas companies and other large industrial or extractive concerns. These companies had loudly bemoaned the regulations put in place by the previous administration. In her first days in office, Gov. Martinez swiftly put any such pending rules on hold. In her speech, she promised to do her best to overturn the ones that remain.